1. Planning permission had been granted for a residential development on the former Shell "petrochemical storage site"
2. "Some" decontamination had been carried out by Shell. 3. The site was still contaminated but the Wokingham District Council did not consider that there was any health risk. 4. There was no evidence to support claims made by an unidentified local resident (Ray Fax). 5. The property developer PERSIMMON HOMES had agreed to have a further decontamination process carried out to deal with "known past use of the site" i.e. as a petrolchemical storage site. 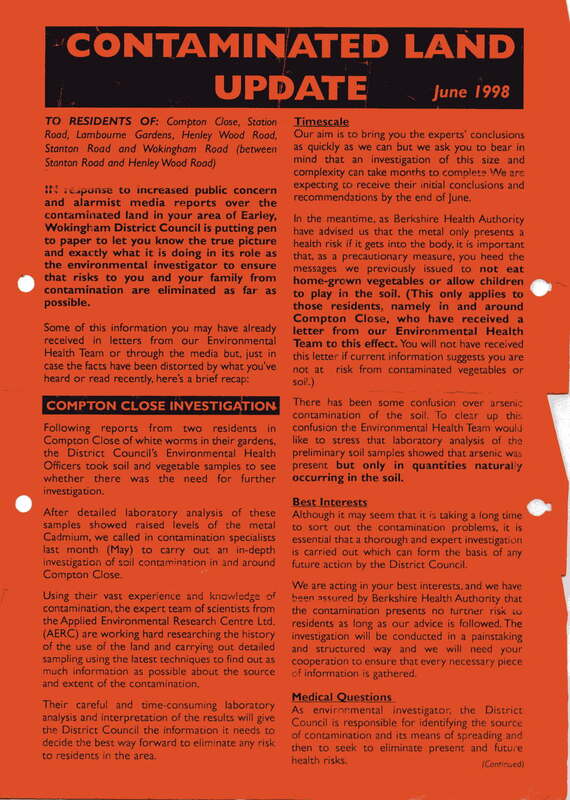 PERSIMMON HOMES NEWS RELEASE 18 SEPTEMBER 1998 ENTITLED "SAFE AS HOUSES AT EARLEY RISE"
By now Ray Fox had kicked up such a commotion that Persimmon Homes actually used the dreaded word: "Decontamination". The former Shell site has been unsuccessfully "decontaminated" at least three times. 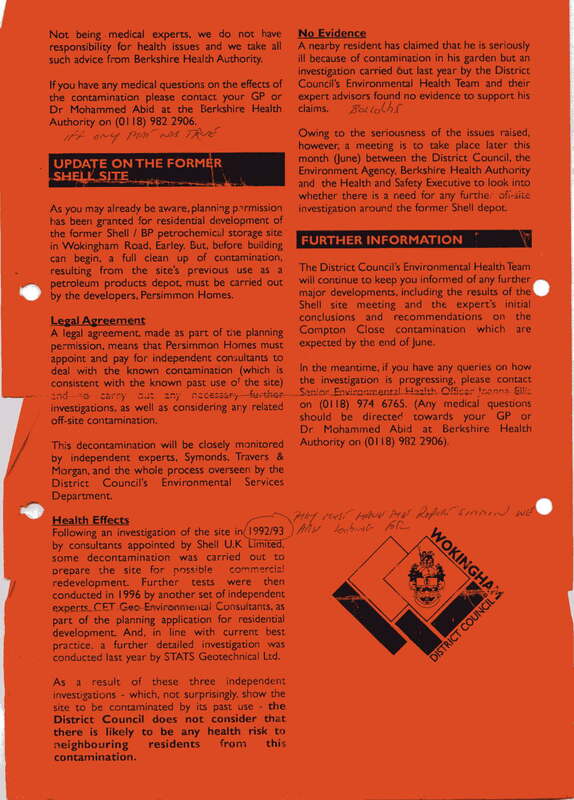 It appears that no one involved in the repeated decontamination processes were aware of any nuclear/radioactive past history of the site on which the housing development took place.